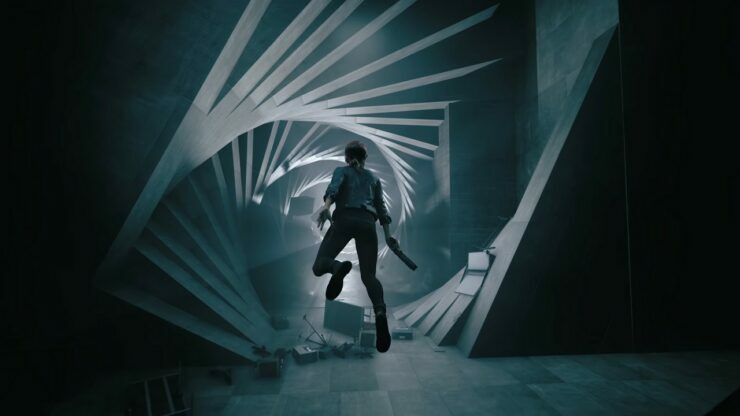 Remedy showcased Control, their first fully multiplatform game (due on PC, PlayStation 4 and Xbox One next year), at E3 2018 for the first time. At the time, we interviewed Game Director Mikael Kasurinen to talk about the game’s influences and Metroidvania-inspired design structure. In a recent interview published in the latest GamesTM magazine (issue 205), Kasurinen took the opportunity to explain that Control will deliver on the power fantasy of being a telekinetic master, something he feels no game successfully accomplished in all regards before. The first point I made was that this is a game about control; it’s about controlling the environment and controlling elements. That’s the main thing of the game. Telekinesis felt like a really natural first step towards that, establishing that as a key gameplay pillar. Jesse is essentially a telekinetic master and is able to use it to control the environment, use it to defend herself and to attack enemies and even able to use it to fly. It opened up a lot of interesting possibilities, but still with an elegant core idea, and of course that led to us thinking very carefully about how we built the environments, and also embracing new workflows – we have a more modular structure to the world, which allows us to add that layer of complexity and detail in the destruction of every single piece in the environment. All of the chairs, tables, everything in the environment can be used as a weapon. And of course we have elements that are more complicated – take a fire extinguisher and throw it and it will blow and so on; we are now getting up to the point where you will be able to pick up enemies as well and throw them against each other. We are going as far as we possibly can with this kind of power fantasy of being this telekinetic master. The environments are a huge part of that. To me, personally, it has been one of these missed opportunities. There has been Psi-Ops a while back and there is the Star Wars game, where there is this sense of telekinesis, and they were great games, but to me it feels like a bit of a missed opportunity. We wanted to say, ‘No, you can pick up anything’. It’s part of how the world works, and it’s there as a foundation that we have built into the game. He also discussed the side missions that will supplement the main story. Long story short, Kasurinen reassured fans that there won’t be any ‘fetch’ quests in Control at all. There is the main campaign, which is all about Jesse assuming the role of director of The Federal Bureau of Control – of her earning that role and dealing with the Hiss, the strange force that has taken over The Oldest House. But as she tries to figure that out and follow the main campaign she will be presented with a lot of different options that she can tackle if she wants. We wanted each one to feel relevant or to at least be an interesting thing for you to do. We want to avoid busywork and meaningless fetch quests in Control, which side quests can so easily become. There’s no word yet on when Control will release other than a generic 2019. However, you can satiate your thirst for Remedy’s next big title by checking out the new boss battle gameplay video published yesterday by the PlayStation Access channel on YouTube.